This is a terrifying collection of true-life tales of ghosts, poltergeists and spirits of all kinds in the streets, buildings and graveyards of York. 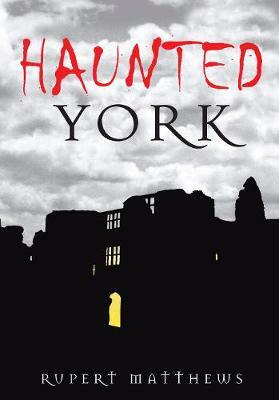 Drawing on historical and contemporary sources, Haunted York contains a chilling range of ghostly phenomena. From the medieval stonemason who haunts York Minster to a re-incarnation mystery at St Mary's Church, the spectres of King's Manor, Micklegate Bar and Exhibition Square and the many spirits to be found in the city's public houses, this phenomenal gathering of ghostly goings-on is bound to captivate anyone interested in the supernatural history of York.